Kerry Ball is a Literary Agent and Head of Development at Meridian Artists. Kerry joined the Meridian team in 2010 as an Associate where she worked closely with the Agents and roster to facilitate employment opportunities and project sales in both Canada and the USA. She transitioned to the role of Agent in 2014 and covers primetime production and development in Canada. Kerry also manages Meridian's internal development slate to maximize opportunities for the client's original material. Prior to Meridian, Kerry worked at Achilles Media as a Content Producer for television production and programming events such as the Banff World Media Festival, Just Comedy at Just for Laughs in Montreal, and History Makers in New York City. In 2013 Kerry was awarded the CBC Business of Broadcasting mentorship through Women in Film and Television Toronto (WIFT-T). 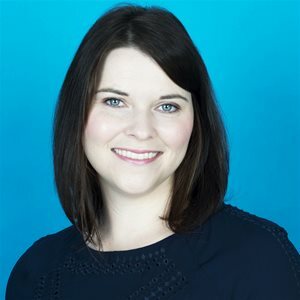 Kerry is an active member of WIFT-T and in 2016 completed their inaugural Shaw Media Management Accelerator program through Ryerson University. Kerry is a graduate from Ryerson University, earning at Honors BA in Radio and Television Arts with a minor in English.